With the development of modern technology, the market-controlled paper cutter has gradually replaced the traditional old-fashioned paper cutter. However, there are still many users who don't understand the difference between the two, and do not understand how the program-controlled paper cutter replaces the old-fashioned paper cutter. First of all, the program-controlled paper cutter has better precision than the old-fashioned paper cutter, which is mainly derived from the precise control of the built-in program. 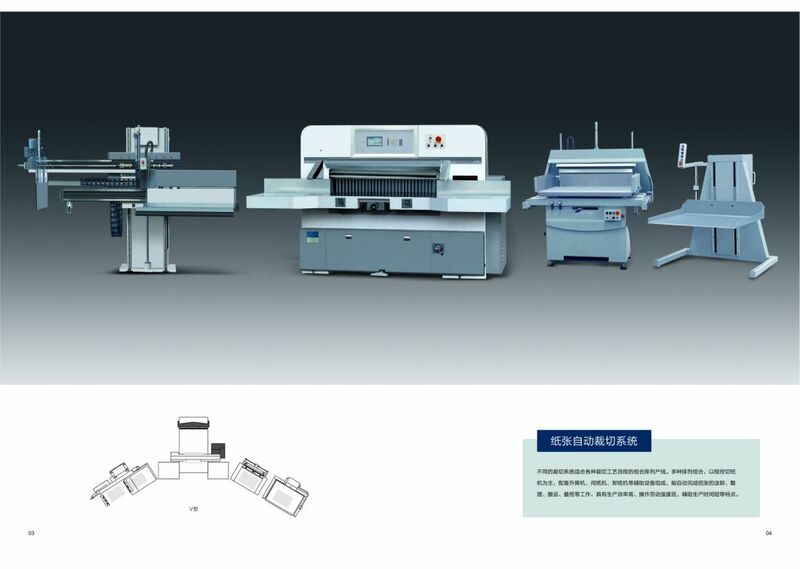 Secondly, due to the positioning of the program control, the matching between the paper cutting and the paper feeding can reach three to five times the efficiency of the ordinary mechanical paper cutter. Moreover, since the program-controlled paper cutter is operated autonomously by a program that has been set internally, without human intervention, a large amount of labor and labor intensity can be liberated in a large part, and all the procedures of cutting the paper are completed autonomously. No secondary positioning is required. In operation, the Chinese-wide operation interface makes the human-computer interaction more friendly and simple. The automatic control of the system program allows the user to automate the production through the machine's own operating system input program, and learn the program without bit.